Here Are my favorite shots from the game against the Raiders a couple weeks ago. Thanks for looking. Green Bay Packers quarterback Aaron Rodgers runs onto the field prior to the start of an NFL football game against the Oakland Raiders. 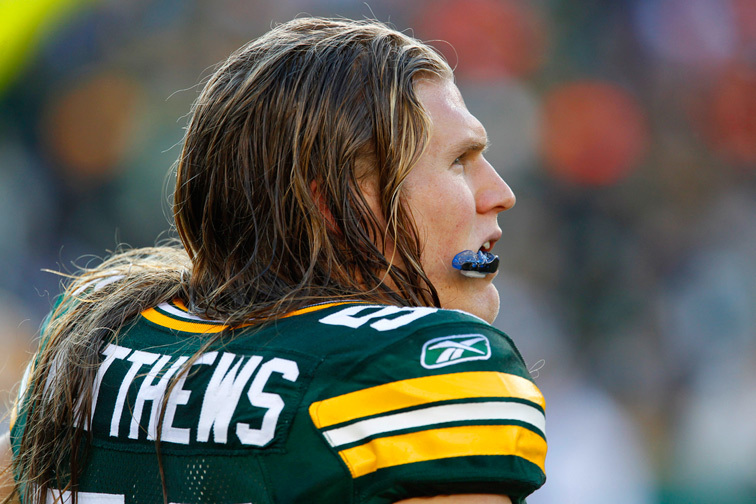 Green Bay Packers outside linebacker Clay Matthews looks onto the field prior to the start of an NFL football game against the Oakland Raiders. 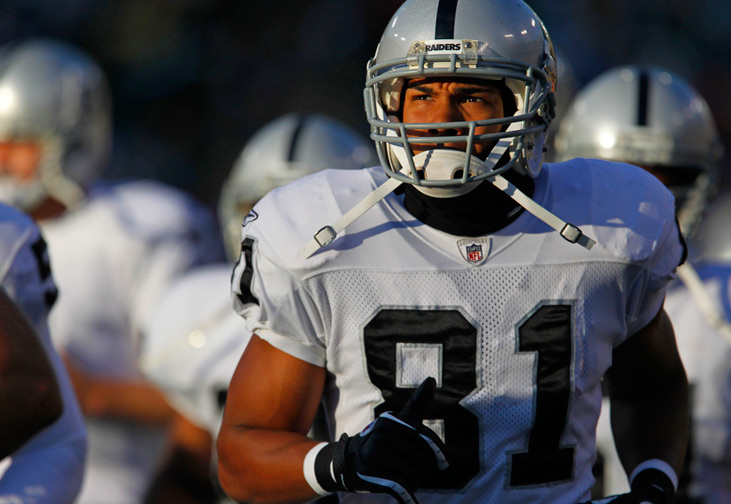 Oakland Raiders wide receiver Chaz Schilens runs onto the field prior to the start of an NFL football game against the Green Bay Packers. 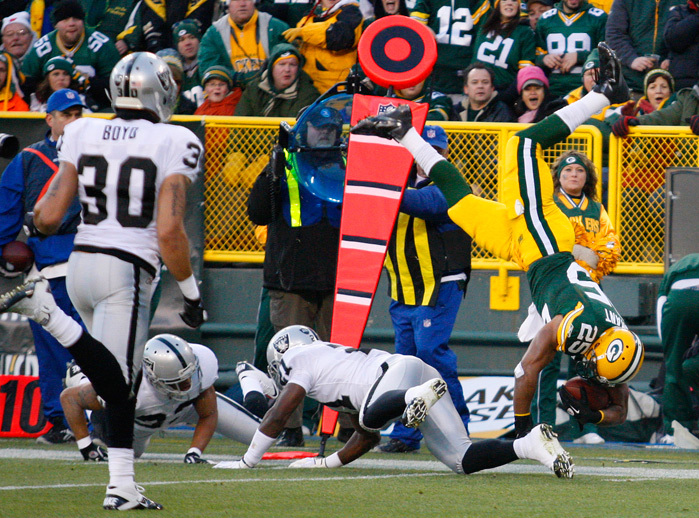 Green Bay Packers running back Ryan Grant gets upended on a run by Oakland Raiders cornerback Lito Sheppard. Green Bay Packers tight end Ryan Taylor scores a touchdown while being covered by Oakland Raiders defensive back Jerome Boyd . 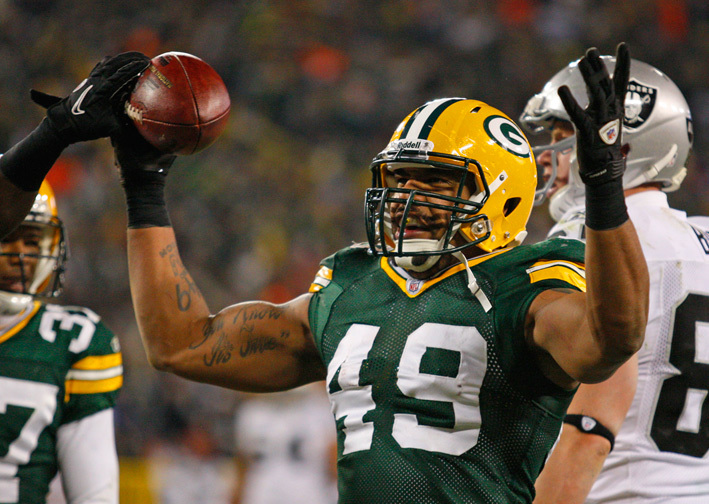 Green Bay Packers running back Ryan Grant scores a touchdown against the Oakland Raiders. Oakland Raiders defensive back Mike Mitchell breaks up a pass intended for Green Bay Packers tight end Jermichael Finley. Green Bay Packers linebacker Rob Francois celebrates after intercepting a pass by Oakland Raiders quarterback Carson Palmer. Green Bay Packers wide receiver Greg Jennings is hit by Oakland Raiders cornerback Stanford Routt (26) and strong safety Tyvon Branch (33). Oakland Raiders strong safety Tyvon Branch (33) and free safety Michael Huff (24) break up a pass intended for Green Bay Packers wide receiver Greg Jennings. Green Bay Packers running back Ryan Grant runs past Oakland Raiders free safety Michael Huff (24) and defensive back Mike Mitchell (34). Green Bay Packers running back Ryan Grant runs past Oakland Raiders defensive back Mike Mitchell (34) to score a touchdown. 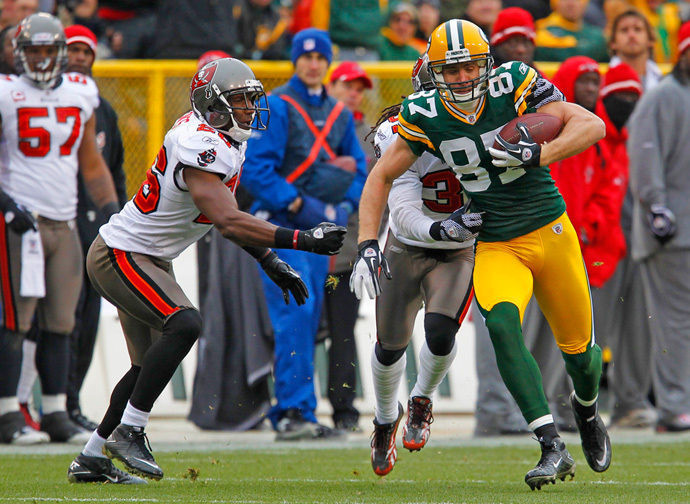 Green Bay Packers wide receiver Jordy Nelson runs past Oakland Raiders free safety Matt Giordano (27). 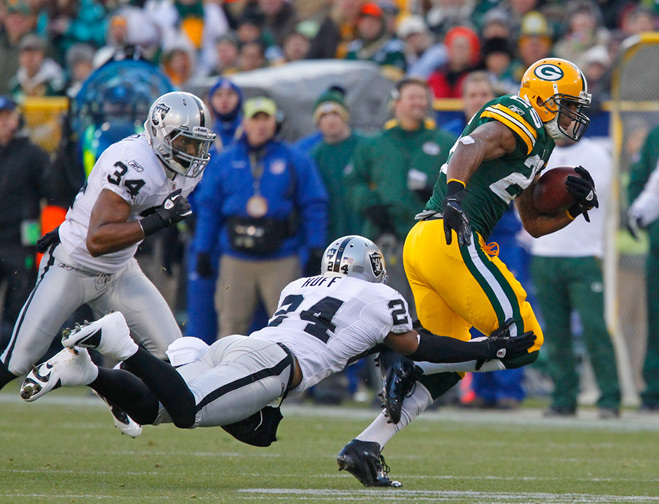 Green Bay Packers quarterback Aaron Rodgers is pursued by Oakland Raiders defensive back Mike Mitchell. 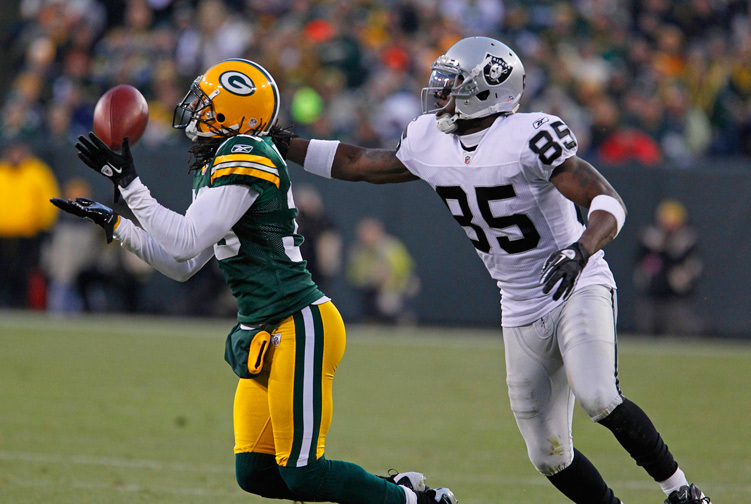 Oakland Raiders wide receiver Darrius Heyward-Bey makes a catch while being covered by cornerback Sam Shields. Green Bay Packers cornerback Tramon Williams breaks up a pass intended for Oakland Raiders wide receiver Darrius Heyward-Bey. 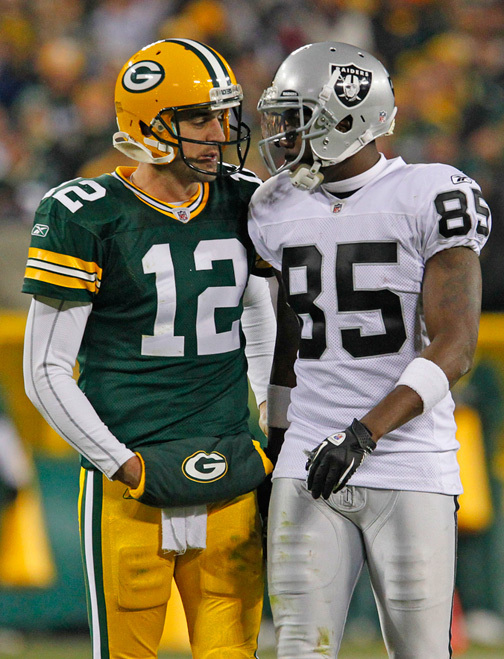 Green Bay Packers quarterback Aaron Rodgers and Oakland Raiders wide receiver Darrius Heyward-Bey exchange words during a time out. 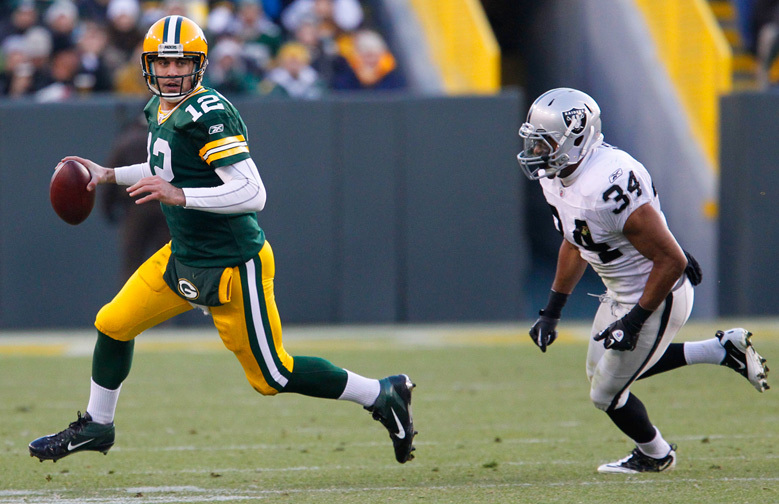 Oakland Raiders quarterback Carson Palmer is pursued by Green Bay Packers defensive end Mike Neal. Green Bay Packers fullback John Kuhn is hit during a run by Oakland Raiders outside linebacker Kamerion Wimbley. 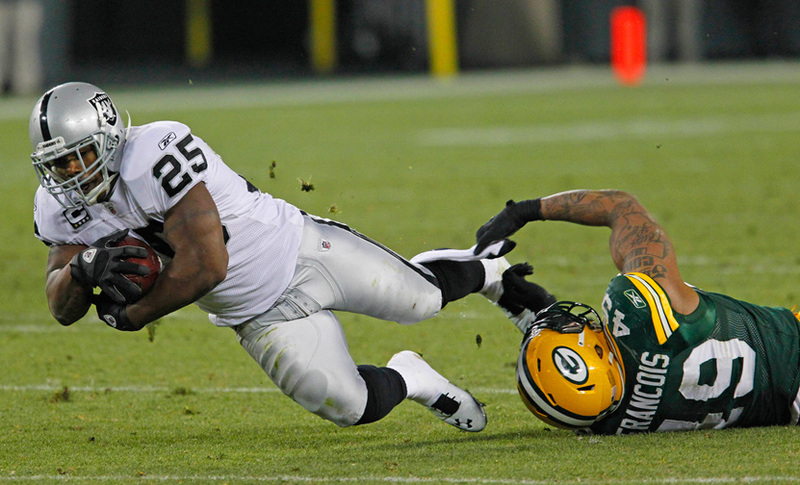 Oakland Raiders running back Rock Cartwright is hit during a run by Green Bay Packers linebacker Rob Francois. 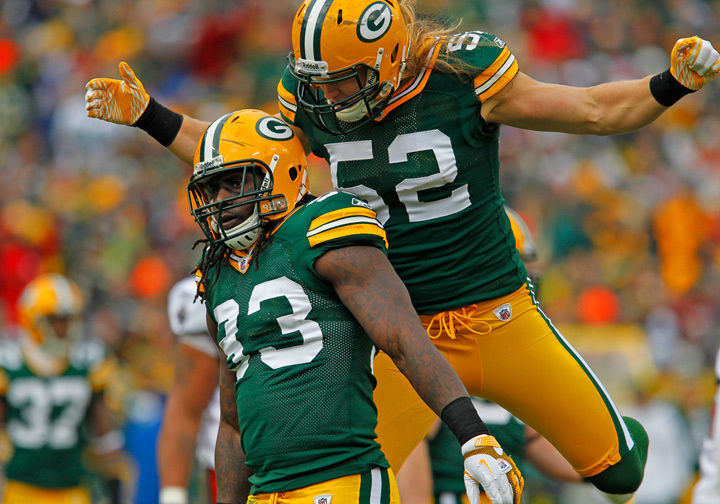 Green Bay Packers tight end Ryan Taylor celebrates a touchdown with a Lambeau leap against the Oakland Raiders. This entry was posted in Uncategorized on December 21, 2011 by ludtkephoto. 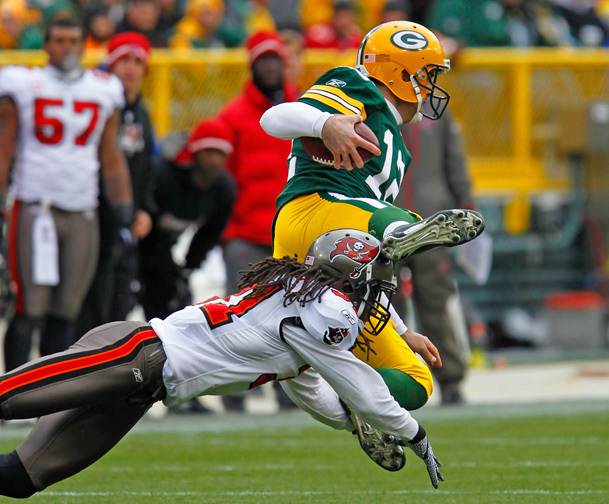 Here are my favorites from the Packers Bucs game a few weeks ago. Thanks for looking. 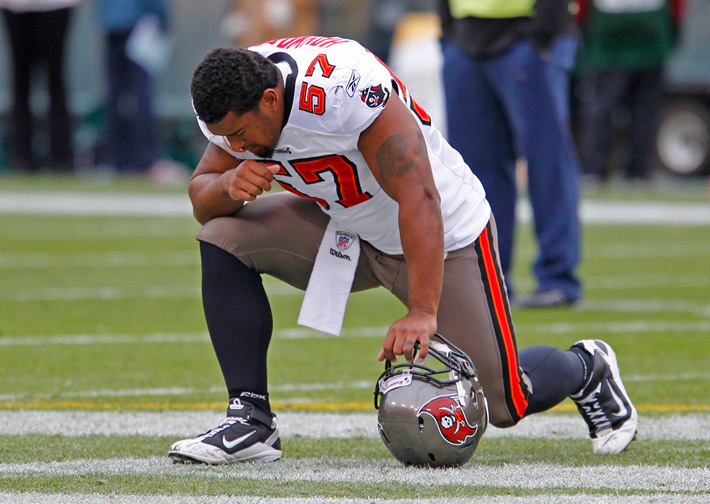 Tampa Bay Buccaneers middle linebacker Adam Hayward kneels on the 50 yard line prior to an NFL football game against the Green Bay Packers. 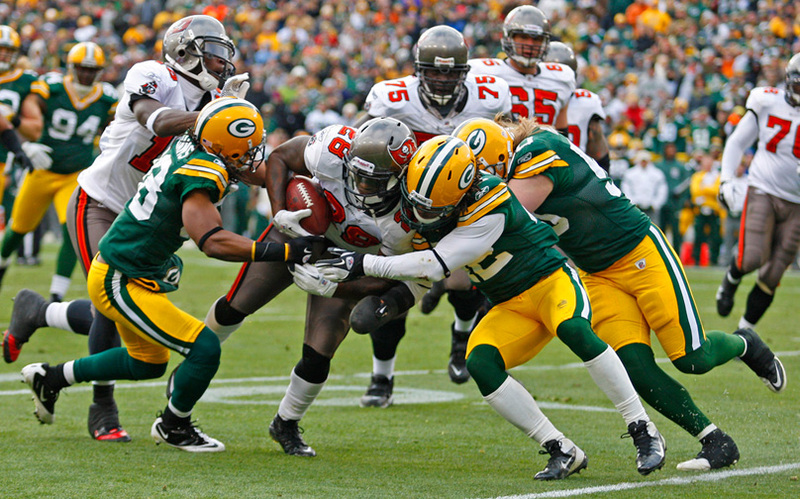 Tampa Bay Buccaneers running back Kregg Lumpkin is hit during a run by Green Bay Packers inside linebacker A.J. Hawk (50), free safety Morgan Burnett (42) and cornerback Tramon Williams (38). Green Bay Packers wide receiver Randall Cobb is hit after making a catch by Tampa Bay Buccaneers cornerback Aqib Talib (25) and outside linebacker Geno Hayes (54). 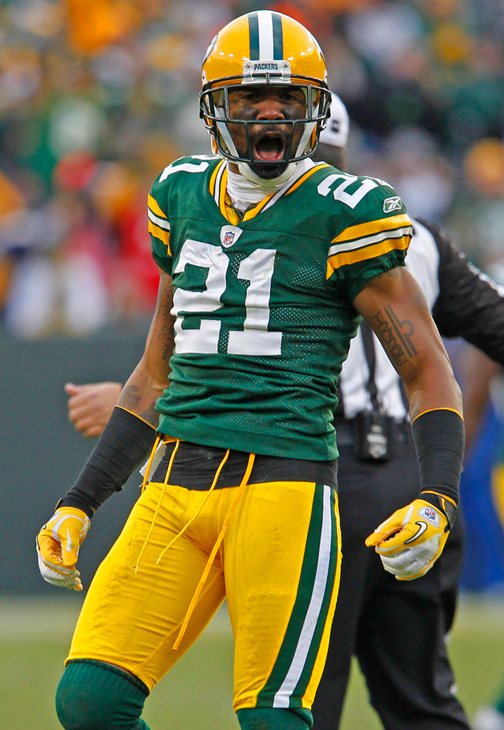 Green Bay Packers cornerback Charles Woodson reacts after sacking Tampa Bay Buccaneers quarterback Josh Freeman. 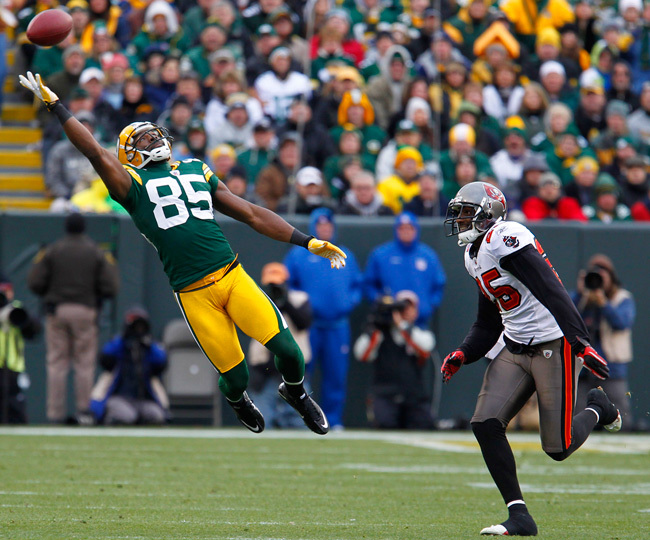 Green Bay Packers wide receiver Jordy Nelson catches a pass while being covered by Tampa Bay Buccaneers defensive back E.J. Biggers (31) and strong safety Sean Jones (26). 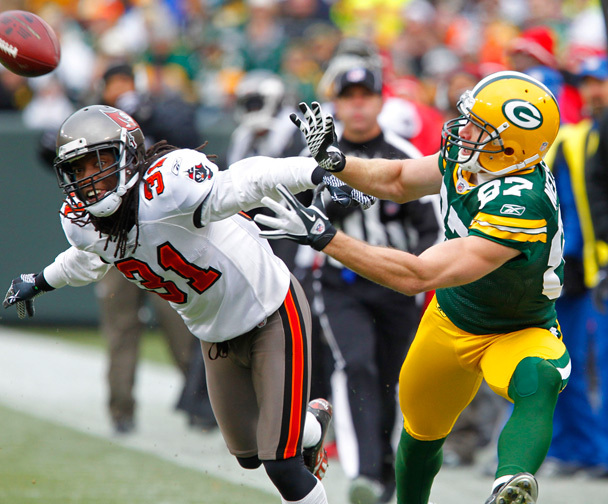 Green Bay Packers wide receiver Jordy Nelson catches a pass while being covered byTampa Bay Buccaneers defensive back E.J. 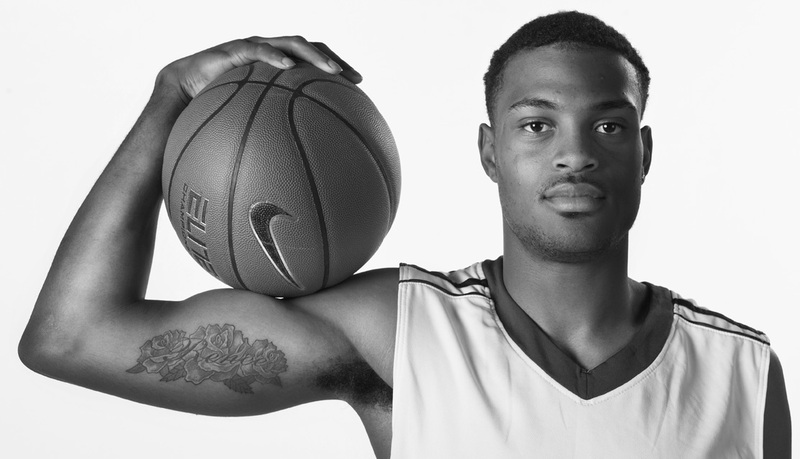 Biggers. 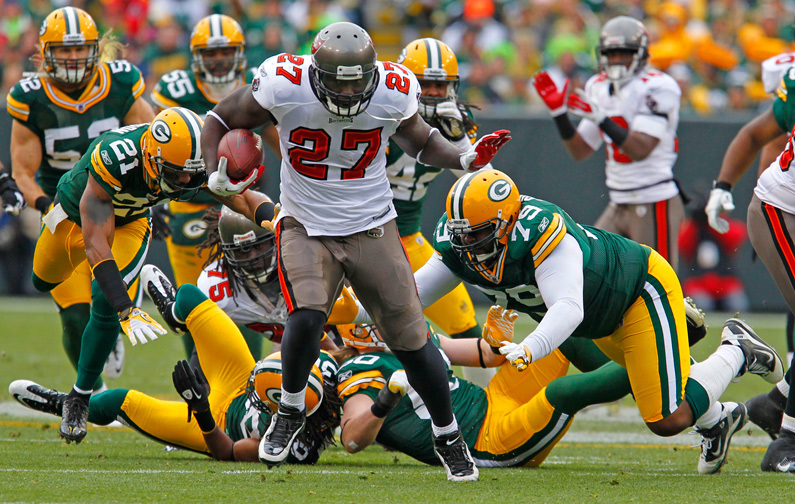 Tampa Bay Buccaneers running back LeGarrette Blount makes a run against the Green Bay Packers. 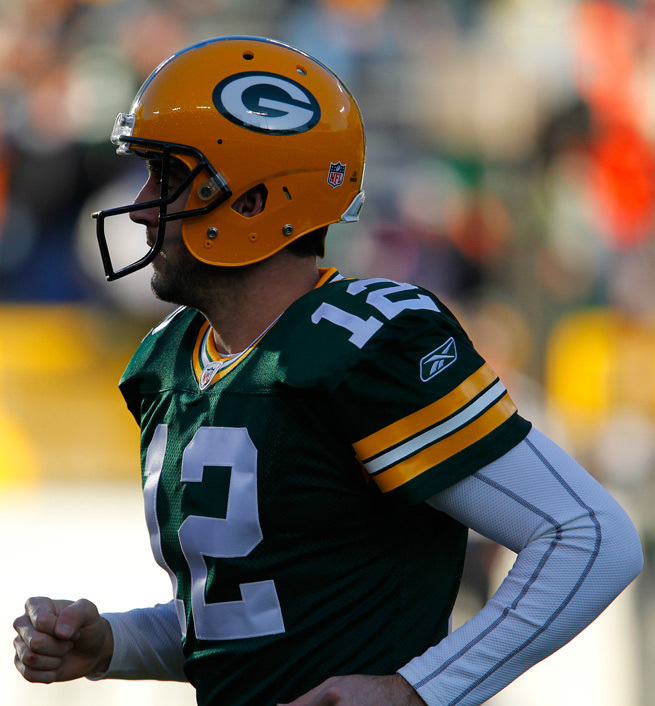 Green Bay Packers quarterback Aaron Rodgers is hit by Tampa Bay Buccaneers defensive back E.J. 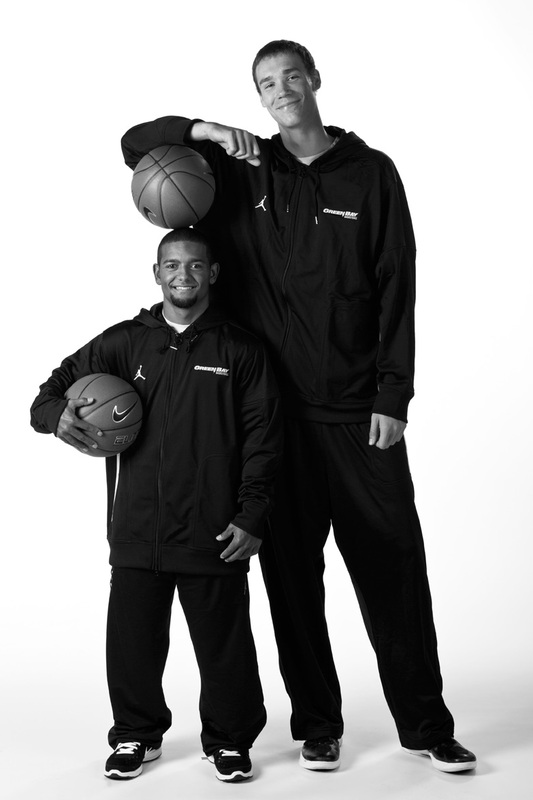 Biggers. Green Bay Packers tight end Jermichael Finley tries to make a catch while being covered by Tampa Bay Buccaneers strong safety Sean Jones. Green Bay Packers outside linebacker Erik Walden (93) and outside linebacker Clay Matthews (52) celebrate after sacking Tampa Bay Buccaneers quarterback Josh Freeman. 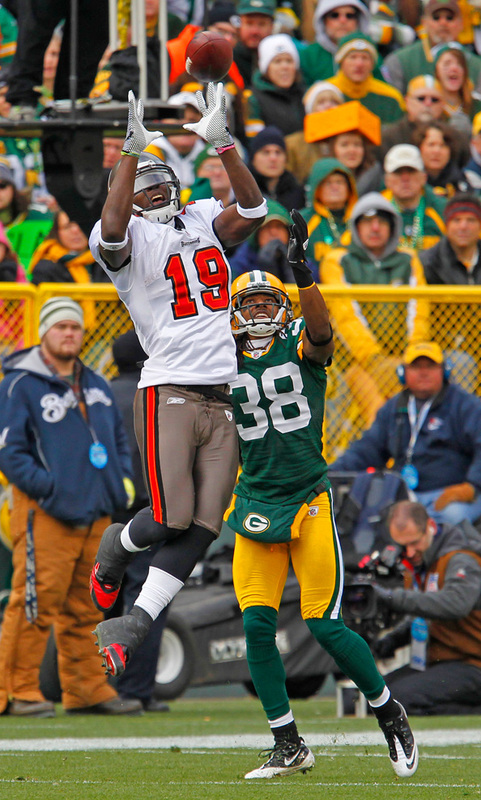 Tampa Bay Buccaneers wide receiver Mike Williams makes a catch while being covered by cornerback Tramon Williams. 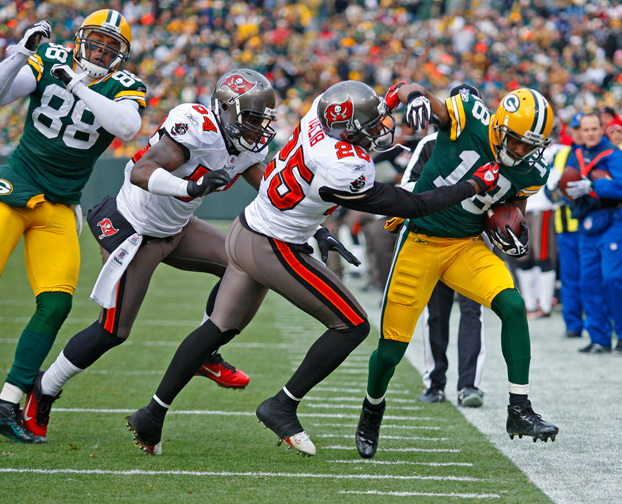 Green Bay Packers cornerback Tramon Williams intercepts a pass intended forTampa Bay Buccaneers wide receiver Mike Williams. 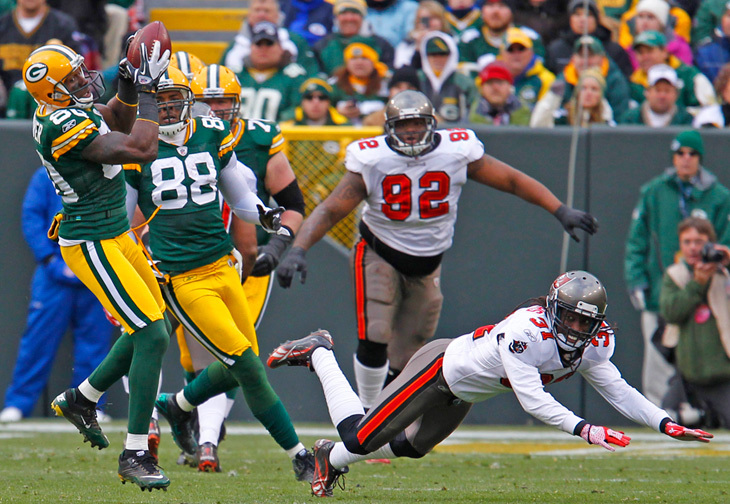 Green Bay Packers wide receiver Donald Driver makes a catch while being covered by Tampa Bay Buccaneers defensive back E.J. 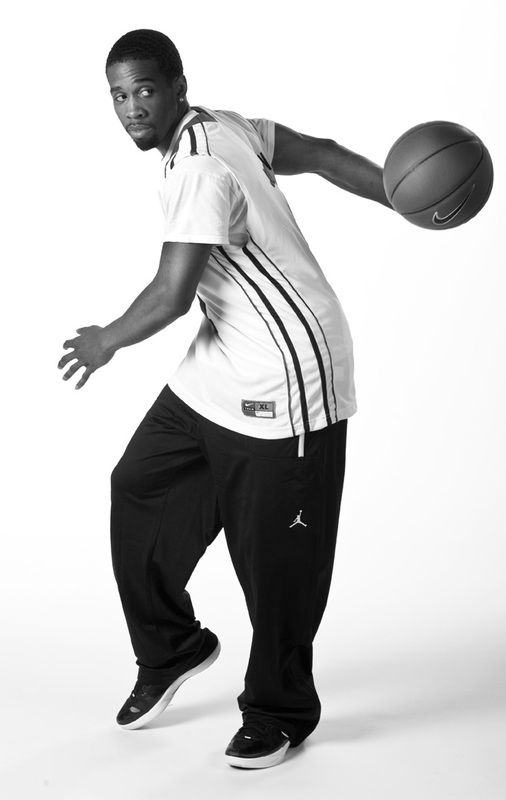 Biggers. Tampa Bay Buccaneers wide receiver Mike Williams is hit after making a catch by Green Bay Packers inside linebacker A.J. Hawk (50), inside linebacker Desmond Bishop (55) and cornerback Tramon Williams (38). 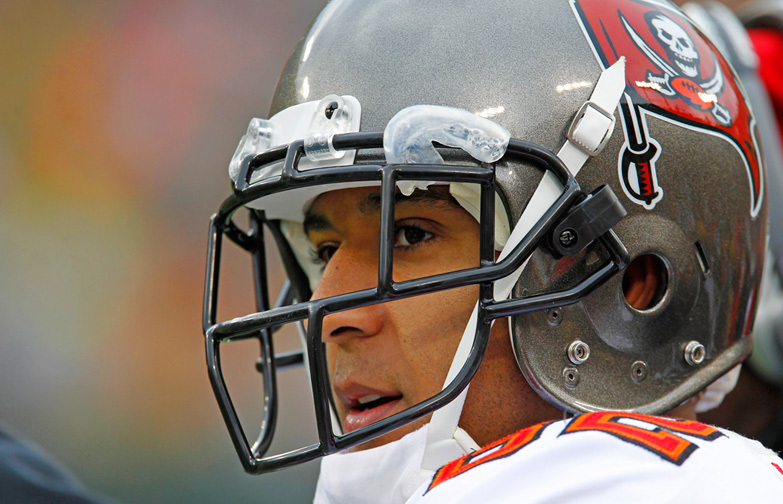 Tampa Bay Buccaneers tight end Kellen Winslow watches his team play against the Green Bay Packers. 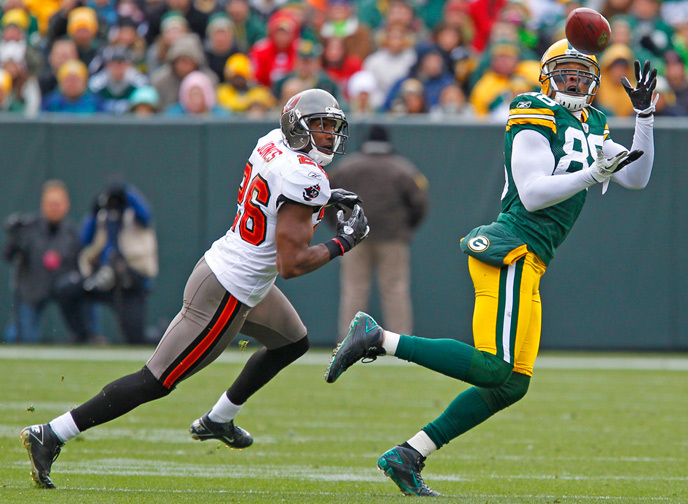 Green Bay Packers wide receiver Greg Jennings attempts to make a catch while being covered by Tampa Bay Buccaneers cornerback Aqib Talib. 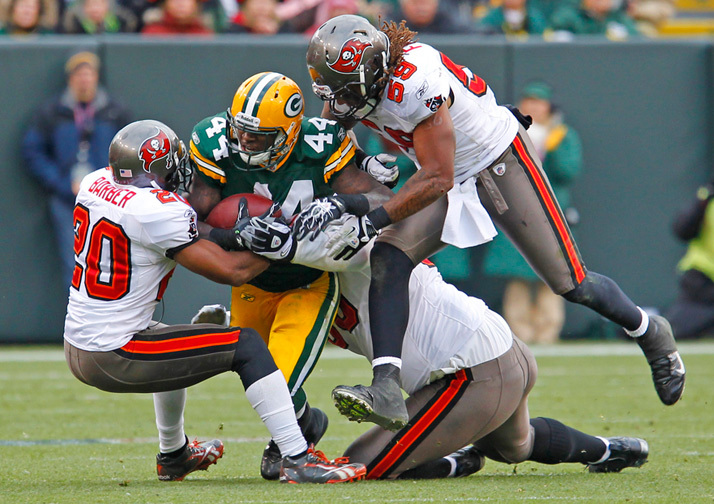 Green Bay Packers running back James Starks is hit during a run by Tampa Bay Buccaneers cornerback Ronde Barber (20), middle linebacker Mason Foster (59) and defensive tackle Albert Haynesworth (95). 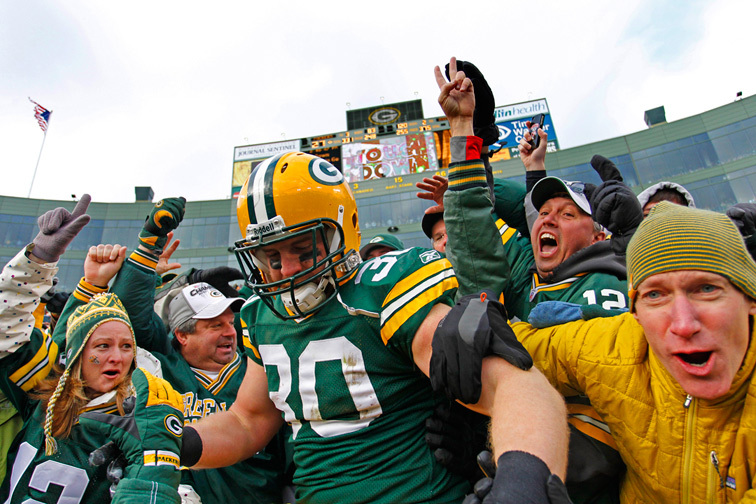 Green Bay Packers fullback John Kuhn celebrates a touchdown with a Lambeau Leap against the Tampa Bay Buccaneers. 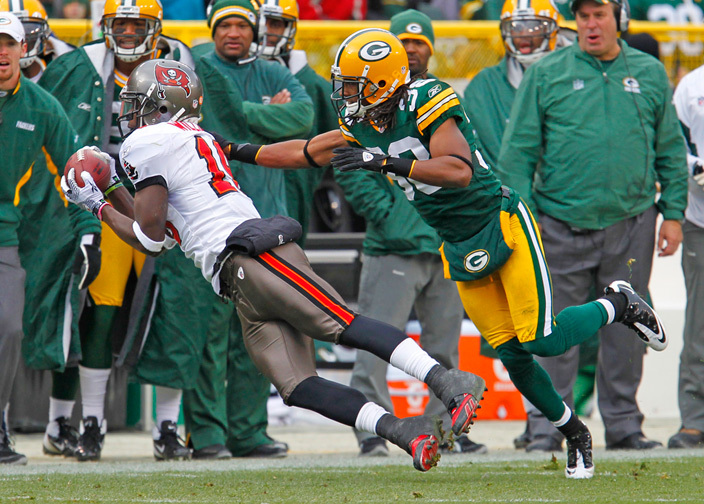 Green Bay Packers wide receiver Randall Cobb gets hit by Tampa Bay Buccaneers punter Michael Koenen during a punt return. 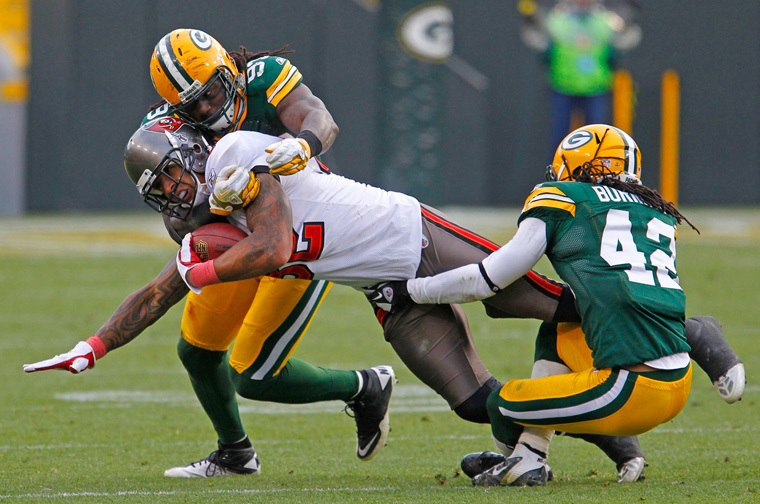 Tampa Bay Buccaneers tight end Kellen Winslow is hit after making a catch by Green Bay Packers free safety Morgan Burnett (42) and outside linebacker Erik Walden (93). 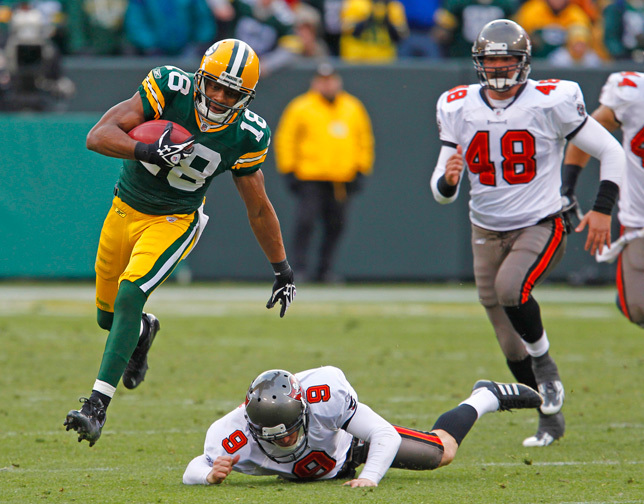 Green Bay Packers wide receiver Jordy Nelson scores a touchdown against Tampa Bay Buccaneers defensive back Myron Lewis. 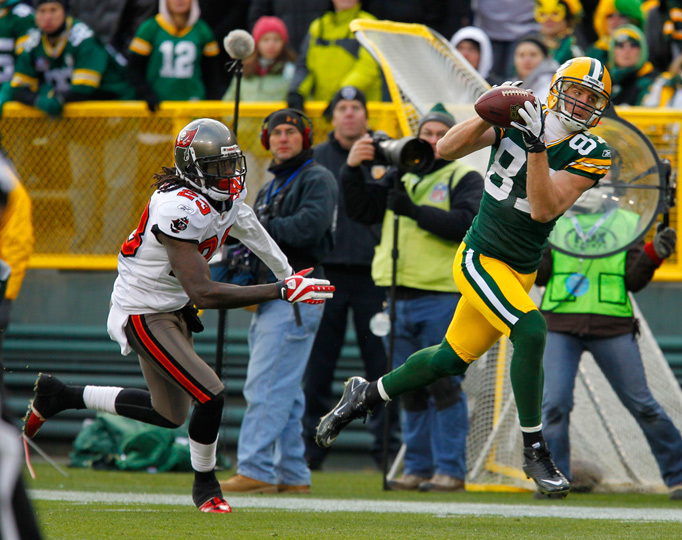 Green Bay Packers wide receiver Jordy Nelson scores a touchdown against Tampa Bay. 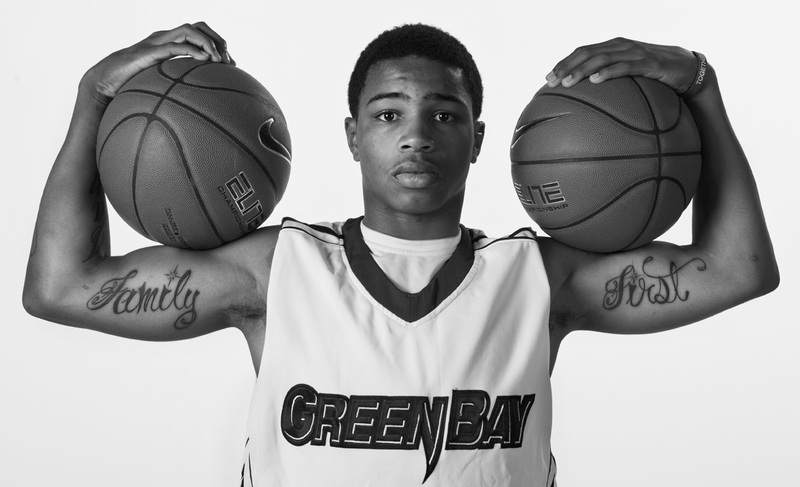 A couple of months ago I had the opportunity to shoot portraits of the UW-Green Bay men’s basketball team for use by the university’s sports info department this season. 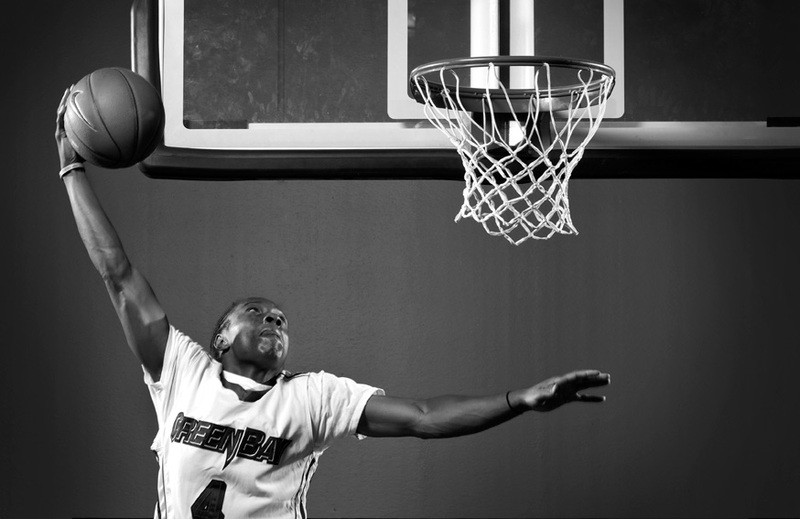 The team was great to work with and we had a lot of fun. This is only a small sample of what we came up with. Thanks for looking. This entry was posted in Uncategorized on December 2, 2011 by ludtkephoto.